What Exactly Does Wowzers Mean? There's no telling when you might stumble across a crazy word or acronym online, only to be left wondering what it actually means. If that's how you feel about the word wowzers, then you've come to the right place. Wowzers is just a slightly sillier, slightly more exaggerated version of wow. The word isn't an acronym like FTFY or WYD, nor does it have a complicated meaning. It is, however, a word that is more acceptable to use in certain situation than in others. Like the word wow, wowzers is a reactive exclamation. It can be used as a standalone word to react or as part of a sentence that elaborates on the reaction. People say it online or send it in a text message when they're reacting to something that seems surprising or shocking to them. When they don't know how to respond with words, saying wowzers is a good way to communicate their loss for words. People also tend to say wowzers when they're excited about something and don't know how else to express it. They may use multiple exclamation marks after the wordy to convey the intensity of their excitement (or sense of shock and surprise) almost as if they want the people they're talking to online or via text to know that they're shouting. It's not entirely clear who the first person was to coin the term wowzers, but many people might remember that it was a favorite exclamation used by a well-known cartoon character in the 90s. Inspector Gadget would occasionally say, "Wowzers!" to express his sense of surprise or bewilderment. It's possible that the cartoon character had something to do with the spread of the word. Friend #1: "Guess what? Jimmy finally broke up with his crazy gf." Friend #2: "Wowzers, never thought he'd actually grow up and just do it!" In the first example above, Friend #2 uses wowzers to express how shocked and surprised he feels during a casual text or instant messaging conversation with friend #1. Friend #1: "Just found out that Atari is coming out with a sweet new game console!!!" Friend #2: "Wowzers!!! Can't wait!!!!" This second scenario is a classic example of an intense exclamation triggered by excitement. Friend #2 uses the word to communicate how eager and enthusiastic he is about the news. So when should you say wow and when should you say wowzers? There's no real rule to follow about when to use either word, but here are a few general guidelines to consider. Grammar and spelling matter. If you're writing something like a blog post or copy for a web page, you may want to stick with wow if perfect grammar and spelling are a big concern of yours. You want to seem mature and/or professional. Wow might not be a very professional word itself, but if you're messaging someone on LinkedIn and end up saying "wowzers," chances are they might have a hard time taking you seriously. You don't want to exaggerate your reaction. Wow is a very common exclamation, and sometimes a simple wow is enough to get your point across to others. Unless you really want to emphasize your shock and amazement differently or in an exaggerated way, wow is usually an acceptable word to use. You're texting or posting online in a casual manner. 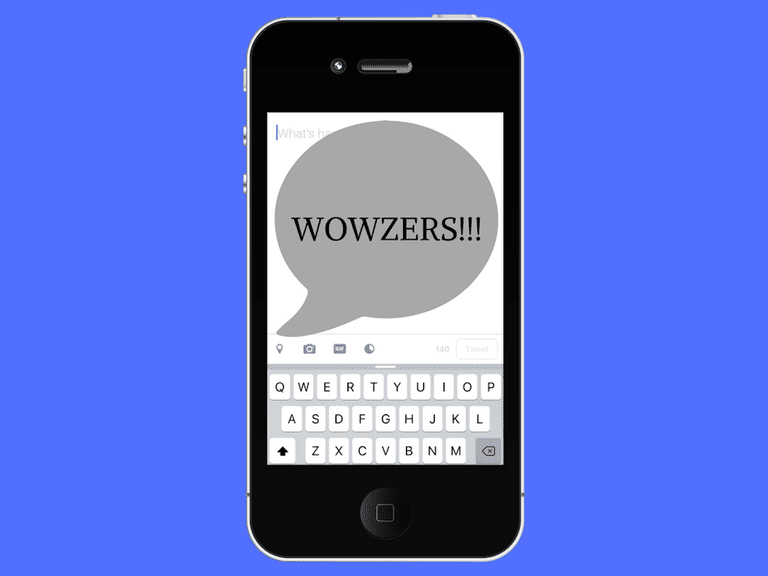 If you nor your audience/recipients are all that concerned about proper grammar and spelling, saying wowzers instead of wow can be a great way to get a little more creative with your expression. You're fine with sounding a bit silly. Wowzers is a silly sounding word. It might be a great word to use whenever you want to convey that you have a good sense of humor. You want to exaggerate your reaction. Wow is so commonly used that it may not capture the intensity of your surprise, shock or excitement. When you really want to kick your reaction up a notch, try saying wowzers instead. What Exactly Does YWA Mean? What in the World Does KMSL Mean? What in the World Does WUD Stand For? What in the World Does GOML Mean? What in the World Does WTV Stand For? What in the World Does GTFO Mean? What in the World Does IGHT Mean? What in the World Does IDK Even Mean? What in the World Does TMR Mean?